Here in California, "BACK TO SCHOOL" is always amidst the remaining SUMMER heat. 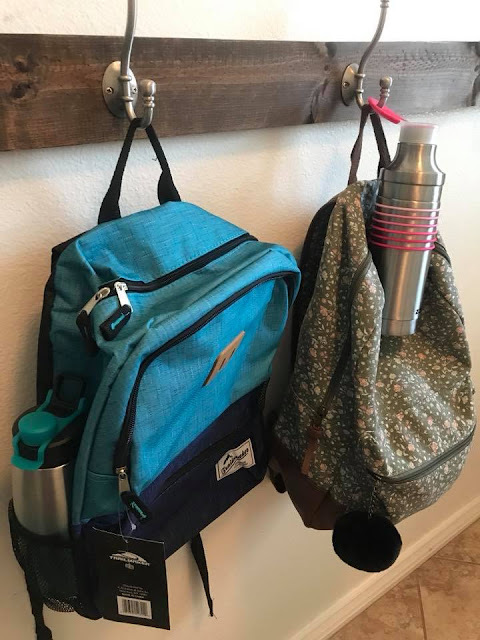 which means that the kids need bottles of water to pack in their backpacks to stay hydrated during the day. Over the years, I have become rather fond of STAINLESS STEEL bottles. Why? Despite the fact that you MUST hand wash them (which can be a bit of a pain), they HOLD UP better than any other bottle we've owned...and they stay cold all day long. Plus, it saves me from buying disposable water bottles from the store that get tossed when they are empty. Such a waste of plastic and actually money spent over the school year too. So when Zak! 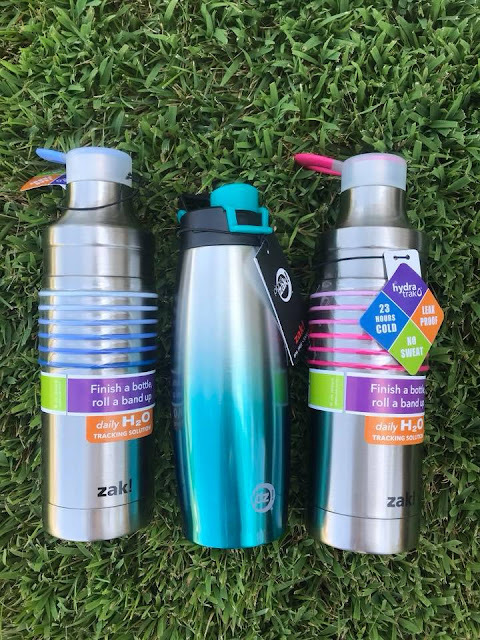 Designs offered to send us a few new reusable bottles for the kids to start their school year out with...I jumped for joy! 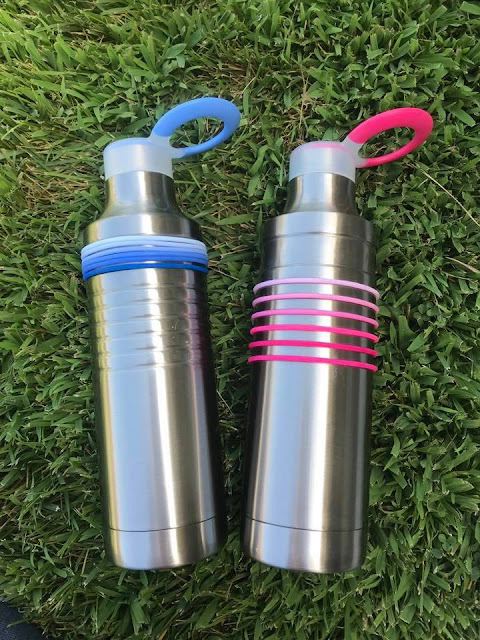 We received two of their new Hydratrak 22 ounce water intake calculator bottles in Periwinkle and Berry. As a mom who needs to drink more water herself, I am really fond of this idea. They have colorful plastic bands that encourage you to drink the right amount of water a day. When you've finished your first bottle, you move a band to the top, fill it up and drink more, etc. By the end of the day, all of the bands should be nice and snug together at the top of the bottle (if you've drank the suggested water intake for the day). Pretty smart right? This is great for my girls too, who need to be drinking tons of water when they are in the heat doing cheer leading and whatever else they get involved in this year. We also received one of the Prism Stainless Steel vacuum insulated water bottle in Lagoon. 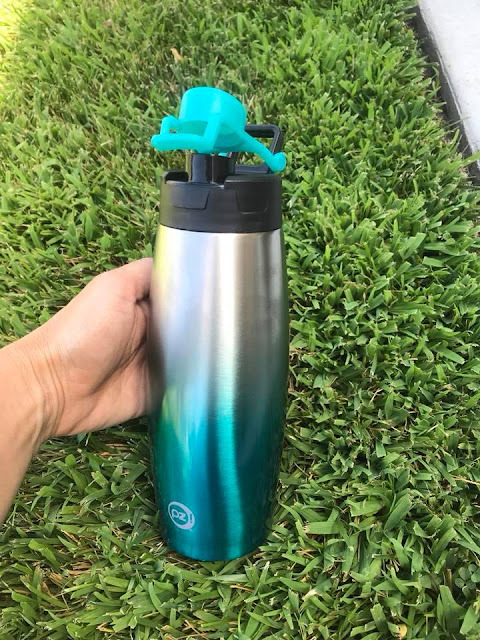 The little guy picked this one out, because it matches his new school backpack and it has a great easy open (can't loose the top cause it's attached) lid. PERFECT as he starts his fifth grade year out! 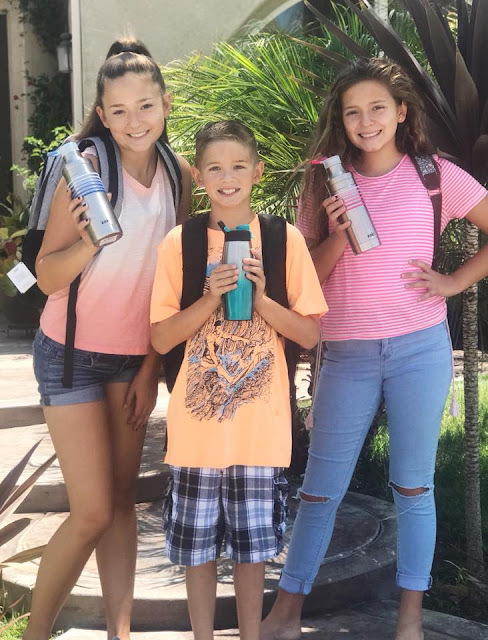 All three of these stainless steel water bottles are superior quality, the perfect size for a backpack and will definitely make it through the school year...keeping my kids hydrated and refreshed in the So Cal heat. Did you know that Zak! Designs has more than just water bottles? They have a large dining selection, as well as character products for your Little's. 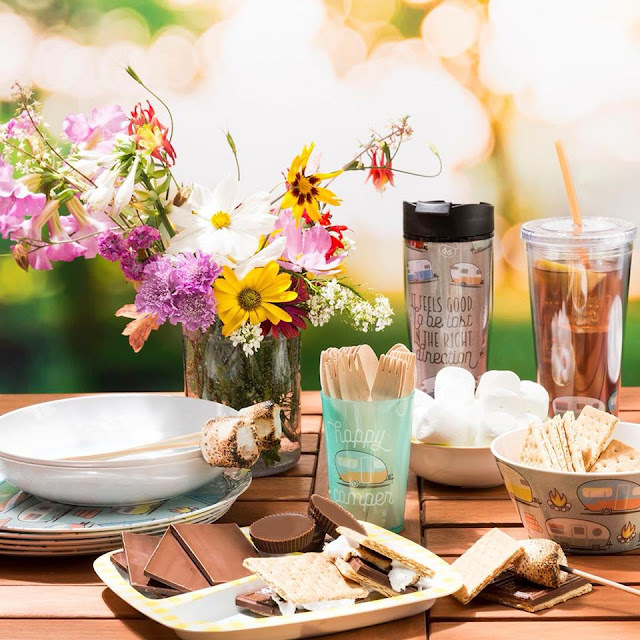 They have straw cups and plenty of options for entertaining as well. 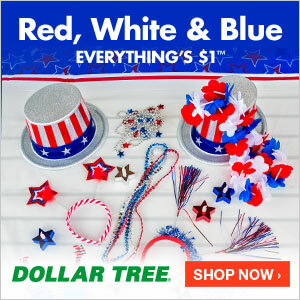 CLICK HERE to see their full selection of fantastic products. I was not paid to feature this post! I was only compensated by the products sent for this review/feature! 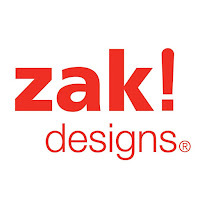 Labels: back to school, hydratrak bottles, reusable water bottles, school supplies, school year 2018-2019, stainless steel water bottles, Water Bottles, water intake water bottles, Zak designs, Zak! It's OFFICIALLY The Last Day Of Summer Break!